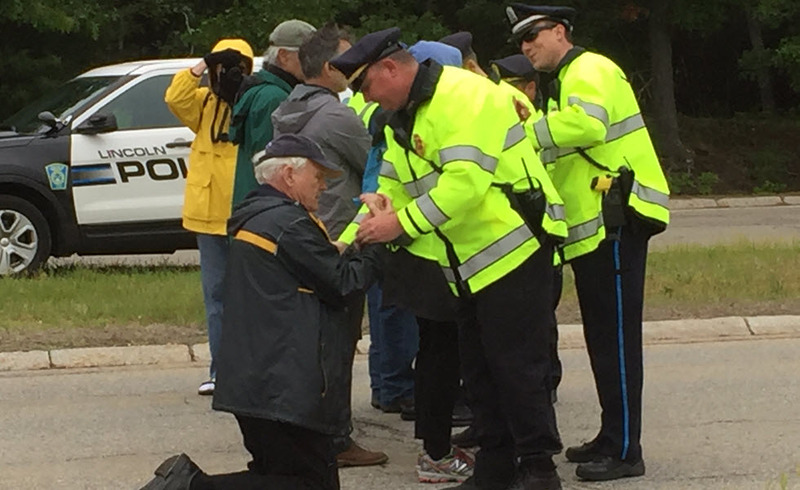 Doug Stuart, Ray Ajemian, and Homer Franck attended the Mass Peace Action demonstration on May 27th. 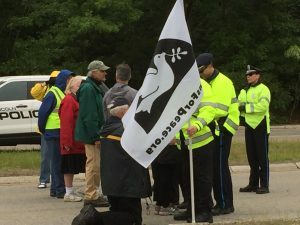 The event comprised of a 1 hour demonstration on the main street in Lexington Center and Green followed by two minutes of silence to symbolize the now 2 minutes to doomsday, the shortest period of time designated since 1953; then a 3 mile march to Hanscom Air Base which houses the U.S. Nuclear Command Center. 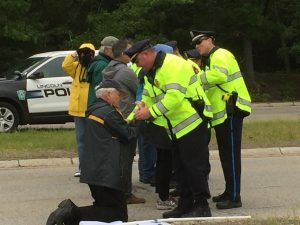 At the Hanscom gate 6 people chose to participate in Civil Disobedience asking to present the base commander with a letter explaining the illegalities of, and our moral outrage for, the development and deployment of nuclear weapons. John Schuchardt was one of those 6 people. See photos below. 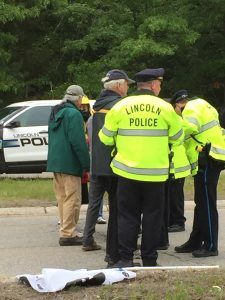 This action was moving and meaningful action in amazing proximity of an array of institutions comprising a significant portion of the military industrial complex in our country – Raytheon, Draper Labs, Lincoln Labs, and Mitre Corp., in addition to the U.S. Nuclear Command Center.